Have you ever worked remotely? Did you stay at home while completing your tasks? Could you concentrate on your job while there were so many distractions around you? The biggest problem of remote workers is the inability to concentrate while someone listens to music, watches TV or plays the guitar. Freelancers visit coworking spaces in order to escape from the everyday chaos in their homes and concentrate on doing their job. Coworking and creative spaces gain greater demand among freelancers and remote workers worldwide. As a rule, these provide you with everything that you need to feel comfortable as you work. If you want to let the wider audience learn about you and your creative space project, then bringing it online is indispensable. There are plenty of web themes, tools, and services being provided online. Launching a site is not a difficulty any longer. You may have little to no coding skills yet create a breathtaking site that will leave competitors behind. Do you want to launch a new web project on your own? Looking for the ways to save your time, money, and efforts? WordPress themes are the go-for solutions to everyone searching for the cost and time-effective solutions for their future websites. There are thousands of WordPress themes on the web. There are different marketplaces offering their custom web solutions. The templates that are launched by different theme providers vary in their styles and functionality. While choosing the best ready-made design for your new online project, make sure that it’s responsive and updated frequently. Also, pay attention to its design and functionality that it contains. The features that will be useful for coworking WordPress sites are event calendars and online booking forms, which will allow freelancers and remote workers make quick reservations. In order to help you find the most optimal coworking WordPress theme for your creative space site, we have made a compilation of 10 premium designs for niche-specific projects. Look through their features and watch designs in action. Coworking appears to be simple and fascinating all at once. It perfectly helps to promote open space and other projects on the web. The template features everything you require to establish a fully-personalized site. Move on, check out this theme live, click the live demo button. Its layout contains a lot of information and facts, laying it in an easy-to-scan way that is crucial for up-to-date sites. Create your online resource even more lucrative with this tailor-made WordPress layout. The actual WordPress theme is cool and this is undoubtedly a fact. Make use of this specific design template for creating your own web resource for coworking sites to fit any preferences and budget. When considering customization, the template came to be very easy-to-modify. If you need your firm to be noticeable online, then you should choose this WordPress website design. In addition, ordering this layout you obtain support and rich guidelines. This particular WordPress template comes with a collection of highly effective tools that ensure a simple navigation and user-friendly interface. It is totally editable. An advanced selection of modification options can help you adjust this theme for youth programs projects. The theme is quick and easy to modify with the built-in WPBakery Page Builder. To discover the actual set of provided content elements, pages and functions have a look at the live demo. Academee is one of the most impressive training WordPress themes that combine sleek style and functionality in a single pack. This theme has been built with education center and training courses in mind. Clean, valid coding and rich documentation will aid you in editing this template just how you need. Need more proof this design is the most suitable choice for high fashion store, couture clothing or ladies fashion store online venture? Check out its live demo and abandon all concerns behind. The ready-made WordPress theme is a sleek and up-to-date solution for interior design and architecture projects. It’s a mixture of visual aesthetics and functionality. 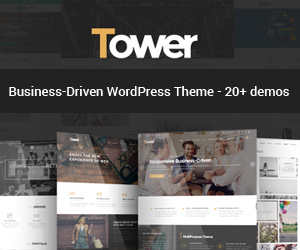 Create your online resource even more lucrative with this tailor-made WordPress layout. It will be easy to change fonts, colors, backgrounds or other elements of the template applying exceptional theme features. WPBakery Page Builder makes it quick and easy to modify the theme’s layout in the visual mode. Multiple blog layouts and 750+ customizer options are intended for the worry-free launch of your online project. Spaces is a multipurpose WordPress template intended to market a range of creative projects on the web. 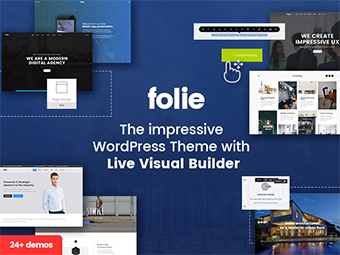 It has a powerful admin panel that allows controlling almost any element of the design, like color palette, fonts, backgrounds, structure, and so on. The theme is WooCommerce compatible, which allows you to launch fully-fledged web stores on its basis. There are 19 custom templates that are included for free access. All of them are intended to be used for the launch of niche-specific projects in a short period of time. The WordPress theme shown here is an effective yet amazing option for web pages of various business areas. It is a perfect template for blogs and online portfolios. The template is SEO-friendly, which makes your site easy to find in search engines. The theme is built on King Composer. The fully responsive layout is intended to adjust to all screen sizes automatically. WordPress Customizer is supported, which reveals the results of the layout modification in real-time. The WordPress theme includes an assortment of custom features that enable webmasters to modify the template fast and easy. The vast majority of the theme options can be altered immediately through WordPress customizer. Showcased blocks of content, widgetized sections make the design of the template distinct. This website design is also well-documented and comes with professional tech support. The format style is liquid and also responsive based upon the viewport (the size of the checking out area). 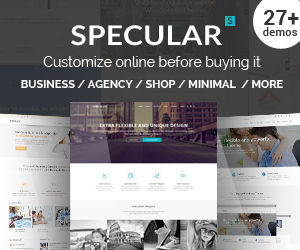 Specular aids you provide your site visitors a good perception of your business. This theme can build a responsive One Page parallax site, or to construct a full multi-purpose theme. CoWork is a design designed to promote creative and working space projects. The following website template is very easy to install and manage, so even a beginner will be able to create an excellent blog or website within minutes. Utilize this theme design to convince people that their requirements will be managed with great responsibility. If you have any inquiries in relation to theme usage you can look at the descriptive documentation. Don’t hesitate to establish client commitment by using this web template. This WordPress template provides a striking style and excellent functionality ensuring a user-friendly interface and better site navigation. 100% responsive design will make your site viewed on screens of a variety of dimensions and resolutions. To make sites of this kind more visible online, here’s an appropriate design to benefit from. The built-in WooCommerce plugin lets you sell products and services to the online community. All of the mentioned WordPress themes are suited to be used for coworking online projects. The fully editable layouts are ready to be adjusted to for a range of small and large-sized sites. You can watch any of them in action with a click on the live demo. The detailed guidelines are included to help you personalize the theme’s designs just the way you require.